Interested in our HCL solution? 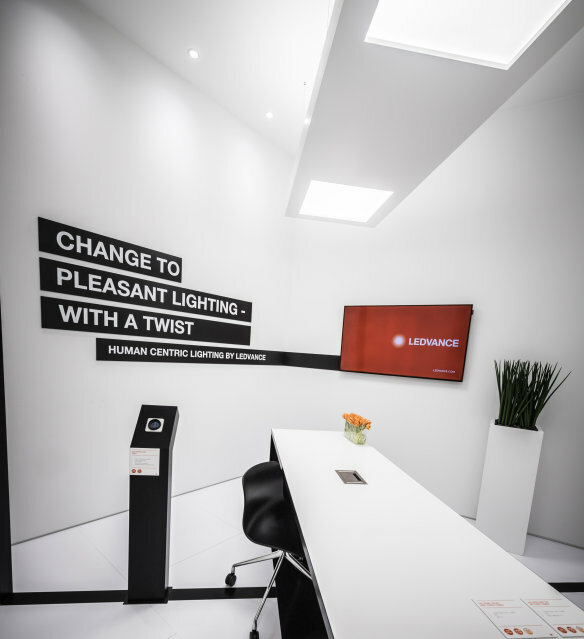 A brand new HCL Control Unit from LEDVANCE is one of the most popular innovations in the lighting business and a prime example of a successful innovation process. Customers and partners can take a closer look at the HCL Control Unit at the SHOW:LAB in the German headquarters in Garching. We took a look behind the scenes. Human-centric lighting (HCL) has almost degenerated into a buzzword – everyone talks about it, but only few know what it really means. Someone who knows what he’s talking about is Dieter Lang, Research & Development Expert at LEDVANCE. “HCL solutions are still so complex and expensive that they’re mostly implemented only in new buildings. What’s been lacking to date is a simple and practical solution, especially for small offices and meeting rooms that suffer from insufficient daylight availability, i.e. a lack of natural light.” That assessment tallies with what our Sales colleagues experience. HCL projects have often not been implemented because solutions involving installation of complex lighting systems and the related renovation of the premises would be too time-consuming and costly. A team from Innovation and R&D therefore seized the initiative and set about developing a smart solution. It became clear relatively soon that the right luminaires to launch the project already existed. What was missing was a smart, but also individual, means of controlling these luminaires. The HCL Control Unit now installed at the SHOW:LAB is the same prototype as shown at Light + Building. 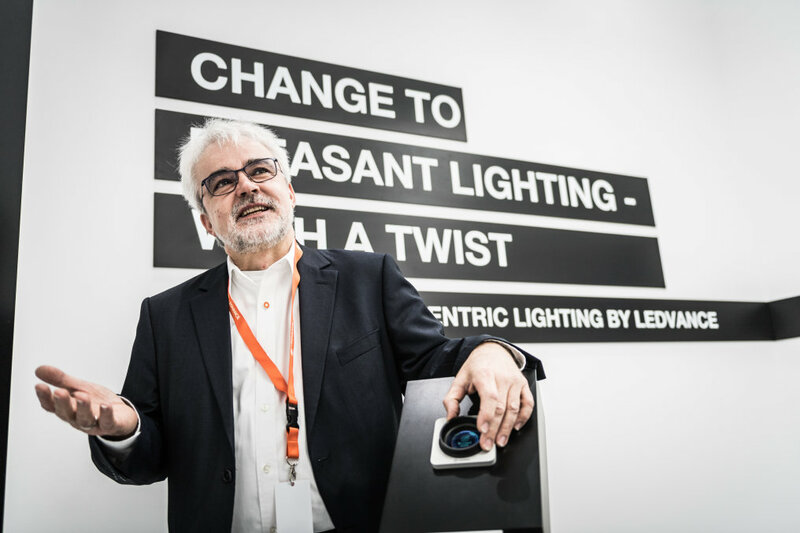 “That means our colleagues and customers can already get a picture of our product – in a realistic ambiance,” says Dieter Lang. However, the process of innovation will not come to an end when the solution is ready to be put on the market. There are already initial ideas and concepts for further developing the product iteratively over several generations. 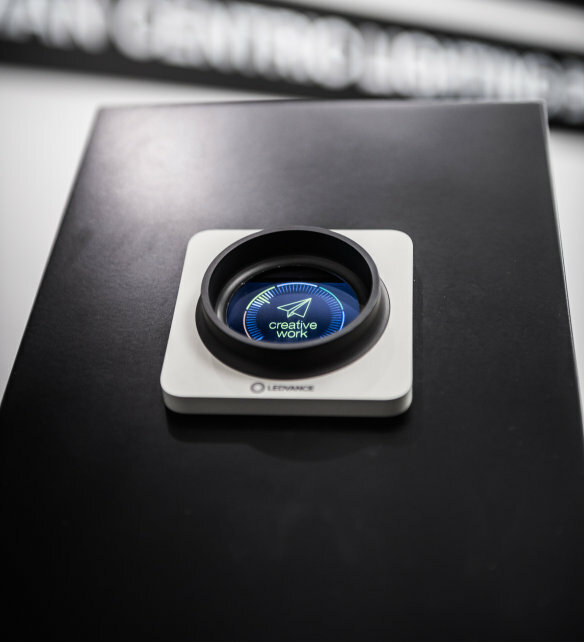 For example, some customers at Light + Building said they’d like to see presence and daylight sensors included in the HCL Control Unit in the medium term. That would ensure rooms are not lit when they are not in use. That would open up other applications, such as classrooms, where such a function is expected. And, of course, the HCL Control Unit can also be developed into a complex light management system for larger facilities. “Such an iterative innovation and development process has a model character: It will help us launch the product as soon as possible and also tailor it to and optimize it for our customers’ differing requirements. In that way, we minimize the risk of creating innovations that ignore customers’ needs,” sums up Manuel Bauer.